• Cogliano trade just a warning shot for Ducks? Let’s start this week’s edition with an update on Ottawa’s downtown arena. Monday night, Ottawa’s National Capital Corporation extended the deadline for Eugene Melnyk and John Ruddy to sort out their issues until Feb. 28. But this isn’t the most significant development. That honour goes to the fact that a runner-up bid featuring Andre Desmarais — widely believed to be interested in purchasing the Senators — is now part of the mediation. (There are other partners with Desmarais, but I’m going to keep this simple.) According to multiple sources, Melnyk invited this group (known as DCDLS) into the process. That Melnyk extended the invitation is critical to the project’s future. Why? Because, at least once during the negotiations, the Senators’ owner warned that he’d heard DCDLS was getting involved when it shouldn’t be allowed to, and threatened legal action. Now that he has welcomed the group in, that threat goes away. There are hurdles and no guarantees, but it definitely changes the dynamic for the better. Desmarais and his partners have the connections, infrastructure and finances to get things done; alleviating the concerns of Melnyk, Ruddy and the various governments. Without directly speaking to Melnyk — who, like everyone involved, is under a gag order until the window closes — we can only guess at his motives. It would also be interesting to know if the NHL nudged him in this direction. Whatever the case, it is not hard to see why all parties would welcome new blood. If Feb. 28 passes without a deal or another extension, it is widely believed the project will be shelved until after the upcoming federal election. That’s a delay no one wants. Not Melnyk, not Ruddy, not the various governments — no one. Everyone’s a loser in that situation, except the lawyers billing multiple hours filing the lawsuit motions. The future of the Ottawa Senators is downtown and everyone knows it. The sooner that happens, the better. This part of the equation is out of my expertise, but a couple of sources mentioned the mediator — former Chief Justice of Ontario Warren K. Winkler — as a key factor, too. He’s got a long history of dispute resolution. Many successes, some failures (like everyone else), but a person with the confidence to believe he can get the job done. The other interesting question is if Melnyk and Desmarais negotiate an ownership share of the club for the latter as part of the conversation. No doubt that price becomes much greater if a new arena is on the horizon. 1. Big week for the Senators. As the Ottawa Sun’s Bruce Garrioch reported, GM Pierre Dorion went to California to visit with Pat Brisson, agent for Matt Duchene. Meanwhile, the full-court press is on to re-sign Mark Stone. (Word is Dorion met with Newport, Stone’s agency, on Monday.) Last summer, Ottawa offered Erik Karlsson $88 million, but structure was never discussed. The question will be bonuses. Karlsson got $1 million in the first season of his now-expiring seven-year contract, but nothing else. Bobby Ryan gets $2 million in each of his seven seasons. Some teams fight hard against bonuses (Winnipeg is one), but if negotiations get close enough that extensions are possible, flexibility on this issue could be very important. 2. Here’s my read on Edmonton: With their horse, Oscar Klefbom, getting closer to a return, the Oilers are looking everywhere for forward help. They would prefer to avoid giving up a major young piece for a rental. Sounds like they’ve checked into the recently resurgent Mats Zuccarello, who had three assists in the Rangers’ 6-2 win over Carolina on Tuesday. Last season, the Rangers dealt Michael Grabner for a prospect and a second-rounder; that’s probably where they’d like to go with Norway’s Finest. 3. That said, the Oilers will also scour the market for young, preferably quick attackers who are either on long-term deals or have time before unrestricted free agency. Their first-round pick is definitely in play. Jesse Puljujarvi? As Tuesday developed, there was pushback on his availability. There are some in the organization who want to win now and recognize he has value in the market; there are others who see a player needing patience to develop. The Oilers were interested in Vancouver’s Jake Virtanen at one point, but the Canucks chose to take their time and that’s paying off. It is not easy to tell who will win this argument. What is clear, however, is that the mandate from ownership is to make the playoffs. Edmonton’s also let it be known Ryan Spooner is available. He was acquired on Nov. 16, four days before Ken Hitchcock was hired. Unfortunately, those two are a bad match. 4. The list is longer, but Boston, Edmonton, Pittsburgh and Vancouver are among those interested in Micheal Ferland. 5. Penguins’ GM Jim Rutherford sent his message through local reporters: he’s ready to start dealing. He’s looking for a better fit down the middle behind Sidney Crosby and Evgeni Malkin. Derick Brassard’s going to get a new home. Remember, Winnipeg liked him last year, but he resisted. If the Jets want to try again, that won’t be a problem. Columbus also makes sense, possibly San Jose. 6. Anaheim GM Bob Murray indicated he wants to re-sign pending UFA Jakob Silfverberg. Looking at the Ducks’ contract situation for next year, they have (by my count) more than $72 million in cap space already used. The Andrew Cogliano/Drew Shore trade saves them some cash, but the Ducks are very close to a “tagging” issue. (Basically, “tagging” is a rule that doesn’t let a team spend more money in a future season than this year’s cap.) Assuming his raise is to less than $7 million, Anaheim looks OK. But it doesn’t leave them a ton of flexibility. 7. Murray’s reminding everyone of what we’ve forgotten: He does not rush. Apparently, the Ducks and Penguins discussed that Daniel Sprong/Marcus Pettersson trade well before it happened — it just took him time to decide. The Ducks’ AHL team in San Diego is on a roll and Troy Terry looks terrific, arguably the best player in that league this season. Change is coming to Anaheim, and Cogliano’s trade was the warning shot. Pontus Aberg, who is tied for second on the team with 11 goals, can’t get into the lineup anymore, so he might be next. But the core players have to think they might be going, too. 9. Think there were some teams wondering if Philadelphia would be as married to Nolan Patrick now that Ron Hextall is no longer running the show. Current GM Chuck Fletcher stood up for him prior to the player ending a 24-game goalless drought Monday night. It is hard to find big, right-shot centres, and Fletcher recognizes that. 10. In addition to Bogdan Kiselevich, Florida appears willing to move right-hand-shot defender Mark Pysyk. He’s got one year left at $2.73 million, although his actual salary is $800,000 higher. Bonus: His parents were excellent guests on Hometown Hockey in Sherwood Park, Alta, earlier this month. 12. A number of contenders were liking how many teams were giving up on the season, hoping it meant a buyers’ market as some clubs worried they wouldn’t be able to deal unwanted assets. If you’ve got a true difference-maker, that’s one thing, but how many of those are truly available? 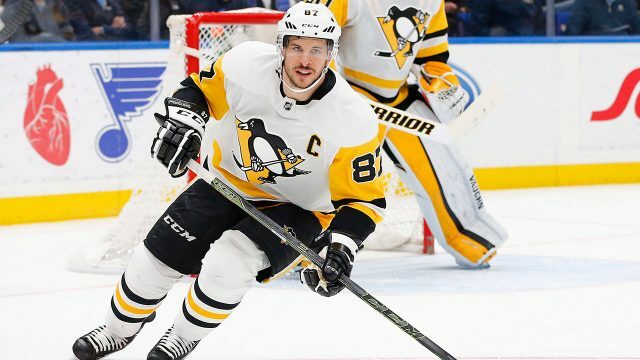 The crazy race for the second wild card in the Western Conference has altered this somewhat, as a few of those teams might sit a little longer to see if they gain momentum. One of those who might choose to wait is St. Louis. Missing the playoffs in 2017–18 was very hard on their ticket renewals, and this was supposed to be a rebound season. Instead, it’s been a nightmare. That said, they’ve crept within four points of Minnesota currently in the final playoff position. Stream over 500 NHL games blackout-free, including the Flames, Oilers, Leafs and Canucks. Plus Hockey Night in Canada, Rogers Hometown Hockey, Scotiabank Wednesday Night Hockey and more. 13. Speaking of the Blues, there were rumours earlier this season that Jay Bouwmeester might be put on waivers. He was battling to get back from hip surgery and really struggling. His minutes fluctuate quite a bit: In his first 20 games he didn’t play a ton, but in the next 12 his low was 19:27. After that he was held down for four, then ramped up in the last five. He’s a rental, and he’s been playing better, although there are physical limitations. I’ve heard a few teams have watched him to see if he’s a fit. 14. Another rental who doesn’t get much attention, but has quietly played pretty well: Detroit’s Nick Jensen. On a team that doesn’t have great possession numbers, his are pretty good. The Red Wings will need to make a decision on him over the next few weeks. 15. Duchene’s meeting obviously won’t be the only one involving an upcoming UFA over the next few weeks. Buffalo is beginning to talk with Jeff Skinner, San Jose’s going to meet with Erik Karlsson, Columbus with Artemi Panarin — there are going to be many of these. 16. It is lost in all the discussions of Ottawa’s more well-known free agents, but the Senators have an interesting one at the NCAA level. In 2015, they took goalie Joey Daccord 199th overall out of USHL Muskegon. Turned out to be an astute gamble. He’s gone on to Arizona State, and has been a success story this season. Daccord leads all college goalies with 26 appearances, and has a .930 save percentage. While he does have one more year of Sun Devils eligibility, he can choose to go pro during the summer. There will be interest. 17. Something slightly different happened with Chicago’s Collin Delia, who looks like a good find. Undrafted, the Blackhawks invited the goalie to their prospects camp in 2017 and signed him. They knew if he went back to NCAA Merrimack, there would be much greater competition for the prospective free agent after his senior season. (Washington was another team that looked at him.) Delia overhauled his summer training routine after his first professional season and is making his claim to the position. 18. In an excellent interview with Christine Simpson, Colorado’s Nathan MacKinnon said he was “so embarrassed” by television cameras catching his heated exchange with coach Jared Bednar in Calgary that he didn’t go to the meal room after the game. I liked how he and the Avalanche dealt with it. Things can explode when you’re in Canada, but MacKinnon didn’t run away, they handled it the way they needed to and everyone shrugged it off. A couple of players hinted Bednar and MacKinnon have a blunt and honest relationship, and it is not unusual for them to have passionate in-game conversations — although that one went farther than anyone wanted. 19. Sharks head coach Peter DeBoer told longtime radio play-by-play voice Dan Rusanowsky that he phoned Todd McLellan for advice after being struck by the puck Jan. 7 versus Los Angeles and missing the next night’s game against Edmonton with a concussion. “It was my first concussion in 30 years,” DeBoer said following last Thursday’s 3-2 win over Vegas, hours after he’d done the interview with Rusanowsky. McLellan was hit in the forehead while San Jose’s coach in 2012, and a close friend, Winnipeg’s Paul Maurice, has also been through it. Still, DeBoer admitted he is still getting back to 100 per cent. Assistant Steve Spott was behind the bench for the win over the Oilers. He should retire undefeated. Two female antelopes for his ranch? Burns saying later that his male antelope will be happiest of all? Just great stuff. Joe Thornton reached 1,000 games Tuesday night and you have to think his event will be just as epic. 21. Roman Josi and P.K. Subban were a regular duo during Nashville’s 7-2 win over Washington on Tuesday night. They played 13:28 at five-on-five and 18:18 overall. It’s not something the Predators have done much. Head coach Peter Laviolette told reporters, “It’s something that we’re looking at…. We’ll probably leave it that way.” In theory, a terrific idea. 23. If Jake Gardiner gets booed out of Toronto, he should know that it worked out pretty well in 1997 for another defenceman who wore a number in the 50s. 24. Before going down with an injury at Christmas, Frederik Andersen was on pace to appear in 202 games during the 2016–17, 2017–18 and 2018–19 seasons. The last goalie to play that much and win the Stanley Cup? Jonathan Quick, from 2009-10 to 2011-12. Interestingly enough, Braden Holtby played in 202 from 2014-15 to 2016-17. The year the Capitals dropped him to 54, they won the Stanley Cup. 25. 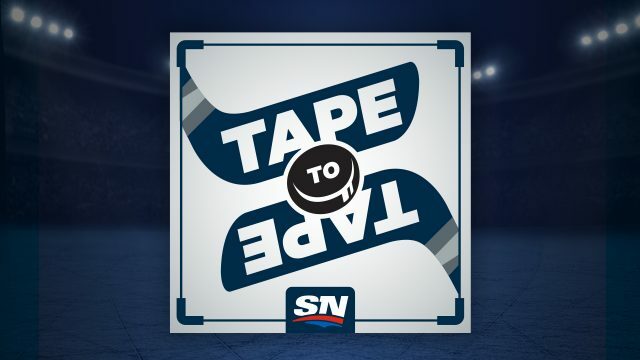 The traveling netminder, Mike McKenna, told podcast partner Jeff Marek he deserves credit for one additional NHL stop. While he never played for the Florida Panthers, he said he did dress as their backup at least once. There is evidence — check the lineup for Dec. 22, 2016, a 3–1 loss to Boston. He was primarily playing for AHL Springfield at the time. Make it nine NHL homes for McKenna. 26. Was leaving the Wynn Las Vegas last Thursday. Told the hotel employee at the taxi line that I was going to T-Mobile Arena. “Big game against the Sharks tonight!” he yelled. What an upper-deck home run the NHL hit with this. 27. A few of you asked on Twitter if the NHL’s puck/player-tracking data will be made public. My best guess is: not all of it. I do believe the NHL will want some feedback, but remember people will be paying for it, so it is unlikely everyone gets access to scrape. 28. An interesting sidebar to all of the gambling possibilities from the data is how long it will take arenas to upgrade to 5G technology. David Lehanski, the NHL’s senior vice-president of business development and global partnerships, said that will be a major upcoming project across North America. After all, you want your fans in the building to make those in-game prop bets on their phones, and it won’t be easy if everyone’s trying to do it at once on a wireless public network. 29. Enjoyed my time last Friday at the Ivey Sports Management Conference at the University of Western Ontario. Twenty-five years ago, my buddies in biz school would always say that lowly, unwashed student reporters were not allowed on the premises. I replied that I’d visit them in their white-collar prisons. It was a fun experience. Biggest surprise: Queen’s University’s men’s hockey team has a seven-person analytics staff. Met the director, Miles Hoaken. 30. NHL/NHLPA negotiations continue Wednesday. While there is cautious optimism, the biggest problem might be the lack of a real deadline in the near future. One of my favourite football follows, former executive and agent Andrew Brandt, always tweets, “Deadlines spur action,” and that is true. Commissioner Gary Bettman’s “We’re not looking for a fight” quote last week in Seattle surprised people. 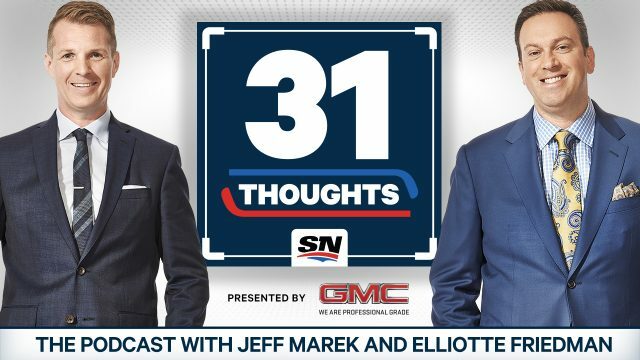 One long-time NHLer said, “I’ve never heard that tone from him before,” and he wasn’t the only one thinking that way. An owner said he thinks Bettman will continue on that path as long as the NHL is not forced into entering a season where a player strike could mean an uncertain ending. The earliest that can happen is 2020–21, and, in theory, the players could make a “no-strike” pledge, but hopefully it never gets that far. You’ve heard it many times, but decreasing escrow is the key for players. Here are some ideas that may come up: First, shrinking the distance from the midpoint to the salary floor and ceiling of the cap. Currently, the floor is 15 per cent below the midpoint, the ceiling is 15 per cent above. Second, I’m curious to see if the players are willing to limit bonuses. The league hates them, but they also affect escrow because they push actual monies paid above 50 per cent. Third, although the NHL puts money toward the players’ pension, it comes out of their share of the costs. Some kind of alteration there would go a long way. But there’s nothing here — as far as anyone can see now — worth a stoppage. 31. Congratulations to Elisabeth Walker-Young, manager of programs for the incredible Canucks Autism Network, which is run by the NHL team. She was named to the Order of Canada for “her excellence in the sport of swimming and for her advocacy of inclusive sport in Canada.” What a huge impact she’s made, and what a deserving honour. The impact people like Elisabeth have on families’ lives, well, it is hard to express in words.